What I say must really irritate you. Why don’t we leave how the life of IA will end and what his legacy will be to future. But for sure he did not join ghedli to fight injustice on behave of the ERITREAN people. I hope you get a good sleep knowing that you are worshping a man who is Haradi and Reshani Seb including his close friends for life. Thank you. I think it’s fair what ever investigation, reconciliation and forgiveness that we need to do to close the ugly chapter of our revolution. I do understand in military world that ugly decision are made and actions are taken. For example the assasination if people who were considered enemy of the struggle is to some degree understandable. In our neighbourhood there was a guy named Kidane as head of Afan, he killer and terrorize the whole neighbourhood. In one moment I remember seeing three young men shot dune in the streets. I don’t who but I think it’s most likely ELF who assassite that minister and I can tell you I am glad they did. Other were also given similar fate, specially those who were in charge of torturing people. I would have no problem if the current torturers would get the same faith. As to the civilians who got death, I can’t say without knowing what they were involved with. But generally speaking ELF, abd EPLF for that matter, as organization with all their short comings, their conduct of military operations is nothing short of an organized military of a country. I think all that can be forgiven in the name of securing the struggle and to continue with the purpose. But I don’t think ELF crimes can be compared to a recognized government and what it has been doing to civilians in time of peace. That’s why I think, SK, comparison is totally flawed. It is in this spirit that I wrote this ‘exposé’ (anecdotally) lest the new generation of Eritreans laments an aborted ELF mission as a missed golden opportunity. Seeing anything Eritrean through rose-coloured eyeglasses is not healthy. After all as a wise Spaniard (George Santayana, yeah, I googled it) once said those who don’t learn from history are doomed to repeat it. Trust me, unless ELF 2.0 is a marked improvement over its predecessor, Eritreans are not missing out on anything as a result of it’s struggle not bearing fruit. I don’t know much about Salih Sabe’s Al Wahda but the modus operandi of the two major organizations operating in the Eritrean fields has left a lot to be desired. For me, the fact that one organization expelled the other from the political arena can’t be justified or condemned based on merits but only through the lense of an immoral act of betrayal committed against a brother regardless of his shortcomings. In addition to Araya Belay, I will also add ‘Mehari Misgina’ to the list. At the time of his assassination, I felt it was the right thing to do. What did Mehari Misgina allegedly commit? According to bado 03, he was distorting history, as if history was owned by EPLF. It is like saying, it is my product, and I am the only one who has the right to sell it to public. As far as I know, ‘Mehari Misgina was a local historian. In fact, he had documented all his oral history in writing. Now, I do not see why someone who had believed Eritrea was part of Ethiopia had to be assassinated in a broad day light. In the process, the life of young man was lost unnecessarily. That is actually a very compelling argument. I tend to agree. I admire your courage for thinking out of the box. Really! Ironically, had he lived to this day, he would have praised by the ‘Nsu band’ since his narrative fits well with the prevailing IA’s narrative: one people. Twenty- years ago, Bars’ and cafes’ owners were order not to listen to an Amharic music. Twenty- years later, the very same owners are encouraged by the same authority, to play Amharic music, in order to entertain IA’s new friends. Amharic is now the new gadget in Asmara; once frowned up on, its status has been restored, and the ‘Amiches’ are now in high demand for their linguistic skills. I am sickened for being treated as some one whose memory is shorter than intel’s RAM. I hope someone, somewhere, has preserved his documents, and to seeing it published in near future. There is a fundamental single fact in Eritrea. One person, only one person defines the fate of a nation! One person holds the life and death of a nation in his palm. And that is pretty extraordinary! Rarity in history I must say. In the sprit of bizarre world of IA. That’s funny! One of YG’s quotable quotes goes, “ሻዕብያ ነ’ስመራ ክትረክብ ንሳሕል ወሪዳ፣ ንሳሕል ክትረክብ’ድማ ነ’ስመራ ኣትያ” And the old lyric in a song went, ምስ ባዓል ጌታቸው ምስ ባዓል በቀለ ቁሩብ ተሪፉና ክንፋላለ and that was way before another song pumped up the volume when the lyrics went ተዛወሪ ማኪና ተዛወሪ’የ ሽዋን ኣስመራን ኮይኑ መዛወሪ’የ። And now, in a rather strange way, Isaias exonarates Mahari M’sgina when he said, ክልተ ሃገር ክልተ ህዝቢ ዝብል ሰብ እንድሕር ሃልዩ ታሪኽ ዘይፈልጥ’ዩ። It sure is a circular journey. “Lavrov did not specify where the center would be located, but he said the project would be aimed at developing bilateral trade in agriculture and mining as well as helping Eritrea develop its transportation and energy infrastructure. trade,” Lavrov was quoted as saying by Interfax, after talks with his Eritrean counterpart Osman Saleh in the Russia resort city of Sochi. Lavrov said the center will advance “promising joint projects involving shipments to Eritrea of specific transport agricultural equipment,” as well as help Russian businesses establish contacts in the country, Interfax reported. Interesting as well would be to see the introverts, i.e. those focused on current domestic shock dynamics, would give a moments thought on your above shared news. It goes to show that demand for access to Eritrean, and the region’s in general, is even wider. We have regional powerhouses that have been hovering with or without official disclosure, the Medemer effect on the near future socio-political and economics on Eritrea, Ethiopia, and the region in general, and ofcourse USA’s recent implied influennce as well as its desire to get a foot hold on African trade investments vis-a-vis China, and China. If true and this is a serious Eritrea-Russian initiative that has potential to matterialize, then the paint brushes’s color of “Kedemti/Errand boys” rampant criticisms of GoE in the recent past will get duller. As the news is only pertaining possible trade agreement between two sovereign states and can be viewed only as such, the fact it is Russia, a global power house that was also privy and a party in the shaping of the region’s history both politially and militarily, it does add a little or a lot of spices or maybe just condiments for the politial and psuedo political ongoing narratives plus a lot of noise. I personally hope that economic development of significant magnitude develops in Eritrea with Moscow, Timbactu, Ancara, Delhi, or any nation Mekele for that matter. If you listen to the Amhara TV journalists interview, what you just said becomes an almost dead on precise scenario.. They said, the person that was assigned to them to drive them and show them around named Yoseph, out of the blue pointed to a lady getting into a cab and said to them “…see that woman getting into a taxi? That is Fozia Hashim, the justice minister..” Until he told them and called their attention to that, they didn’t even notice the lady. The sad thing is all three of these journalists are experienced and well regarded in Ethiopia. I think what the Amhara TV reporters “witnessed” in Eritrea, I believe it not all act but that is how things are. The only issue that I have to what they said is, they don’t think Asmara / Eritrea is what it is because of PFDJ. I lived during the DERG times and nothing they said surprised me at all and it was like that. But we use to get harrased by the Ethiopian solidiers, creating blockades, barbwall and stuff like that which when they left there was no need. How ever, during my visit I was also harrased by PFDJ police and asked to provide ID cards…and I have seen millitary police guarding some locations where they think was important. I have seen IA walking on the street, I have also attended an even where he was there and there is was no searches and saw him couple of time going in and out.. The fact that there was no attempt on the lives of those in power, (unless we have not heard it), it is the way the Eritrean people handle differences in different way. The people have not until upto now want to resort to violence to score a point. As to the cleanliness of Asmara and stuff…I think the Italians set the good standard and Asmarino, have continued to use the same standard….it started with federation, HSI and Derg time and now under PFDJ. In fact during the PFDJ, a lot of the standard were deteriorated, like lack of water services, lack of repairs and maintenance. etc. If one of the three journalists is the one that did the one-hour interview with Bereket Simon and then gave the right of rebuttal to an ANDM official, well that’s first class textbook journalism and the respect is well earned. 2. Give Ferenj journalists all the hard news. But be sure to bring in “new” journalists (like Nizar) who although well trained (Columbia School of Journalism, Africa Condidential) doesn’t have the context to ask the really tough questions about things PFDJ promised and changed its story on. The whitewashing of PFDJ and Isaias Afwerki was set in motion by Abiy Ahmed (Issu, Wedi Afey, etc) and my guess is the Ethiopian journalists are excercising a bit of self censorship and a bit of “lets enjoy the honeymoon” journalism which even American tough reporters give a new administration. But it’s only a matter of time before PFDJ trips all over itself and will begin expelling journalists as more and more of its mountain of lies crumble. But now is the honeymoon period. Oh I did listen to the interview alright. Come to think of it, it is possible these journalists were feigning getting duped. With this assumption in mind these could be the reasons why they ran the program. 1. As a way of thumbing their nose at TPLF/Tigray regional government which they believe sustained a bloody nose at the hands of IA. Like what kids do when they taunt one another. Ha ha we got access you didn’t- with the loser hand sign on the forehead of course. 2. It was a good investment plan for them since this instalment has already secured them a node of approval from IA and the you-see-everything-is-good-and-dandy-in-Eritrea crowd. They did talk about getting a green light from GoE about setting up camp in Eritrea. I wouldn’t be surprised if they moved their headquarters to Asmara; I mean who wouldn’t the way they described it? They would have done a better job IF they put their mind to it but chose otherwise and focussed instead on tickling IA’s and his blind followers’ vanity in the process. Eritrea (not the people) has to be won at all costs. They may not have acted as journalists but they did a patriotic duty for their region. Is it difficult to imagine these guys would be curious to know about a monster called IA and the prison that he created a.k.a. Eritrea they were aptly told about day in day out? Unless of course they were playing from Peter Arnett’s playbook, a CNN reporter during the gulf war (desert storm). His reporting of a US ballistic missile intercepted by Iraqi air defence system and the collateral damage the civilian population was sustaining at the hands of the US war machine was enough to secure him to continue reporting live from Baghdad and even interview the dictator. This is how business is done at the expense of others whose suffering you couldn’t care less to see. It is kinda funny simply because I remember that day as if it was yesterday. I was still in college [In this part of the world, we don’t say University] and I had a huge lab report to work on and as I walked into the computer room of the campus, I guy I knew told me about the new website and that was it. The same with me. I knew the launching from a friend. Actually I thought it was saay who owned the website until I got a compliment mail from SJ for a short article I penned and had it published in Awate.com. I lost the article and I wonder whether or not SJ have it in his by enormous archives. I think Now Inc is asking about Sept 18, 2018 when the G-15 and the journalists were arrested. AT was launched on Sept 1st 2000. I think my friend iSem have told me about awate.com. As to Sept 18, I read the news, I think I read it at gedeb news. Hi Berhe; you said “I think Now Inc is asking about Sept 18, 2018 when the G-15 and the journalists were arrested” Sept 18, 2018? Maybe that will be the day all prisoners will be freed. you may have something good in here. The decision to release prisoners foretold! ይመላኣዮ እዩ ዘብል። Ever person has the saint in him. I met SGJ at the establishment of EIDM in the last week of August 2000. My first time to know him. Since then our friendship continued until this date. He told me that he is going to launch a website in memory of awate, on Sept 1st. I promised him to contribute articles. Since then, I kept my promise till this date. So to come to the question of Ghezae: who could write an introductory article of the website other than the owner “SGJ.” So SGJ should be. ….Kudos to you Sir for expressing it so eloquently. Sadly, the above quote is also very true of our own Ghedli…. REQUIRED URGENTLY SKILLED SCHOLARS WHO CAN PRESENT TO THE PEOPLE OF ERITREA VIVID STRATEGIES, PLANS AND ROADMAP FOR THE COMING FIVE, TEN AND TWENTY YEARS. How early should I get in line, (for I believe the line is already very long…), to submit an application of interest? Who is signing the checks? No queues at all, you can present your application at any time. Signers are the people of Eritrea. The more your application is clear, you will attain chance of success and occupation in the pages of history. The signers who are the Eritrean people will have a lot of cheques for back payment which would be efficient if they would consider lump sums as opposed to annuities. Many have been for quite a long time and continue to be on the job you described with you SOS signaling. Should and could both be on the same ticket? I am not speaking about whom to follow. The issue is about advancing a well researched Strategy to the people of Eritrea for the coming FIVE, TEN and TWENTY years. Enough for secrecies, it is time for transparency. In this job interview perhaps I may suggest for the first year of the “FIVE” the cheque signers should follow the lines of thought of one of the two or both Ayya Ismail AA or Nitric. The model for “Five” “Ten” “Twenty” years is still underconstruction. The hint for the reason to disect further, which I will do for Hamid Al-Arabi and all, is that both Ayya Ismail and Nitric are in agreement in that both reject Simon Kaleab’s assertions though the angles of approach in their respective address to Ayneta varies and perhaps as well as their respective reasonings and or motivations. From my humble perspective I shall continue the compare and contrast of both esteamed gentlemens statements inclusive of where both fall short on solving the heart of THEIR matter ispite of their genuine and passionate recognition of the SAME solution. A message from a blind PFDJ supporter to Justice seekers. Indeed an eloquent quote in a sense it victimizes Ghedli hater and deceives Justice seeker at the same time. Can you bring a single counterexample to what I said, rather than sidetracking with imaginary labels? But, on the other hand, I can recognise your type from miles way. You are the type who supports both the opposition [the Walking Dead] and the PFDJ at the same time, trying spread betting. Do you want to overthrow the PFDJ? Why are you still here, then? My offer to organise a whip round for your one-way thicket to Asmara still stands. Be a man and lead the next revolution. Where is my friend Thomas? He diagnosed you accurately “ካላ” “ሳጥላ” ንኽምዚ ከማኻ ሜንታል ግዜ የብለይን. Everything you write is fake. I will not be surprised if your friend Thomas, the cartoon character, is back in Asmara, incognito, or attaching himself to the coat tails of Abiy Ahmed. You can join him there, pretending to be a PFDJ supporter. 😂😂😂😂😂. 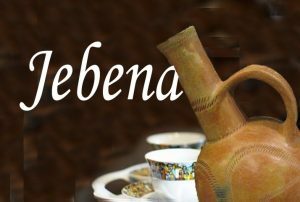 How many ካላs do you think we have here in this Forum? ካባኻ ጀሚሩ ጥራሕ ከይትብለኒ 😂. Hi Ayneta; as always you have this week and helpless vibe. Now how is it the toothless and gutless Kalab-Simon’s worthless quote is magnificent? The brave, the strong and the most honored people start revolutions, set-up movements. Only the brave stands up and say this is wrong! Do something about it. Of course, the week, the coward and the disgraced will say something about the brave from the distance at safe. How many liberation fronts can you list that successfully transitioned to democracies? Very few if any – in fact the vast majority invariably terminate in lifelong dictatorships. And the leaders of these faux liberation fronts usually mobilize followers (many brave and others not so brave) using catchy slogans such as freedom and democracy. Is this not true? Hey Aligaz; Name me one country who has endured as much as Eritrea and Eritreans? That is why Eritrea will transform in to successful democracy. besides, Most liberation front they fake to the bone. They tell you have constitution, they shred it piece by piece, they tell you have an election and they rigged it to the bone, not to mention the personal financial gains and power corruptions. Eritrea doesn’t have those problems i.e. the transition to democracy and the rule of is clean, real and present. Regarding Rushdie, I am talking about views and the mentality of rigidity. In life the worst disease is rigidity. so, when Kalab made that statement and Ayneta went with it, that is rigidity at work. when ever you start with the word of “All” there is a problem. South Sudan and Somalia have endured much worse than Eritrea. And this is just in the Horn. And so far there is no proven correlation between suffering per se and emergence of democracy. Concerning liberation parties Eritrea cannot be the exception especially since EPLF itself never made the transition to democracy. First, begin with a truly democratic opposition if you are betting on a democracy in Eritrea. Without pressure groups the chance of PFDJ willingly sharing power is zero. Rushdie as an iconoclast in the Eritrean mode is an interesting notion. I Satanic Verses back when it was first released in the US because there was such intense publicity about the author with the fatwa and all. I think he even made it on to the cover of Time magazine which was a big deal then. Anyway let’s just say I never had the urge to even pick up another book by Rushdie after fighting through the endless Satanic Verses. Hi Aligaz; you said ” South Sudan and Somalia have endured much worse than Eritrea” Have you ever heard the children of South Sudan and Somalia run-over by tanks, Alive? because you hate PFDJ, you don’t have to distort the truth. You were supposed to give examples supporting your position. So far nothing. Personal attacks are not examples. Now if you haven’t paid attention to what has happened to our neighbors in South Sudan and Somalia over the last few decades then I feel bad for you. One worry the World has about failed states in the Horn is a repeat of the disastrous sequence of events in these two countries or even worse the spectre of Rwanda. Hi Aligaz; first of all I didn’t attack you or anyone else, stop making up stories. The problem with you people is you read too much dead white people books and some other countries experiences. Every country and society is different, it has its own fabric. Therefore, Eritrean experience will only apply to Eritreans, not to South Sudan, not to Somalia or Rwanda. We will write the history and we will let you read it. because if Eritreans were reading history, there is no way they fight and win. What happened to Somalia and South Sudan is a minuscule to what has happened to Eritrea, it is all about the people and their culture. Again I don’t except you to understand, your mind is full with dead white people books and with sympathy to corrupted leaders who are allowing to fail their state. You are right I like reading freely and I also like thinking freely and I really like writing freely. And one day soon I would like to read about freedom and democracy in a prosperous and peaceful Eritrea. And deep down I am sure you feel the same. Hey Btw don’t be confused with all this medemer stuff the relationship with PIA is purely tactical but the relationship with the people of Eritrea is strategic. Take that whichever way you want. You see lucky for me I don’t have to pretend air kiss second rate dictators. This my dear is freedom which you don’t have. Aligaz; Forget the democracy BS but let me ask you this, are you free? I see what you mean. Born to be a rebel! Eritrea is due for a major revolution right about now. It is not only inevitable but also very imminent. You captured the true vibe of the Eritrean heart. Is it me or do you notice a polar shift of the rotational axis of Eritrean “political” globe recently. A massive polar shift at where the tropics are frozen and the frozen becomes tropical. Maybe Eritrea is an early indicator or what happens to the earth’s rotational axis, you know the 23 degrees tilt of the true north and earth’s magnetic fields. Traditionally opposition and change minded folks are clinging for dear life to status quo of the past two decades, i.e. very low viscosity flow, that is being turned upside down by the significant changes on the ground AND or WHILE the pro DIA, pfdj and goe is ready to explode and make a radical revolutionary changes in Eritrea now. I am bumbping into lots of “supporters” angry and reading to become an opposition on their own right, though they seem stuck in a conundrum. Ahh maybe its just me. How about you? Yeah SEWRA BABY! SEWRA for LIFE! We need SEWRA NOW!!! Hey Tsatse; I get it Eritrea needs change but not major revolution. I say this because all you have to do is implement the supremacy of the rule of law! That is it. It is not like what the Ethiopian’s problem. Sure, TPLF might be gone and sure they are gone but what they left behind is extremely troubling and concerning social issues. Unless the Ethiopians come together and launch major revolution in the country, I am afraid it won’t be easy. While in Eritrea, all you need to do is implement the rule of law to its full extent, free all political prisoners, include all interested parties to hold clean election, bring Sawa to its original time line. Eritrea doesn’t have corrupted political culture; it will start from clean slate. I don’t know how you see it but it is a blessing to start anew learning from all mistakes of African elections, here we go, problem solved! I think Eritrea and Eritreans has endured the unthinkable and they have enough sense to do it the right way. The above response to Ayneta is from Ayya Ismail AA’s below. I am hoping you are able to read it and understand it. I am claiming this statement is equivilant to your first sentence above. As I am applying for a job per Hamid-Al-Arabi’s ‘urgent vacancies” ad, you will follow the rational of why I stated, in my earlier comment to you, that “our differences are minimal” as well as the fallacies of your “diaspora spectators” which may unfairly include “Eritrea’s creators” such as Ayya Ismail AA. If need be I or the fine linguists amongst us (such as Haile S.) will translate and or interperate the tigrigna for you Nitricay. See you at the top…. Do you think that you are among the “brave” and “strong”? I can also cheer and sing from a safe distance like a choir boy. Aren’t you better served by spending your time wisely elsewhere? Hi Simon Kaleab; I don’t how you people think; just a bunch cowards. get this to your thick head. Your time is better spent learning the basics at night school, stone head! Simon; do you know that highly educated people never brag about their achievements or their level of education. You must be a low life loser. I once noticed you bragging about knowing computers, listen Dush; that not a knowledge rather computing is a hobby. You are confused. I am not talking about me,, I am only telling you to go night school … fast! I understand your firm opinion of Ghedli. But as we all are forced to disperse all over the globe on a long periods of separation, how much of this is due to lack of opportunités to get to know each other at personal level. For what it’s worth, I reminded the reporter not to be an evangelist like Bruton was 3 years ago when she told us the Isaias regime has already named a committee to draft a new constitution. It’s 2018 and they Yemanes told the reporter they are on the verge of naming a committee to begin drafting. When I asked the reporter if he had asked them why they got rid of a constitution they had bragged about so much (1997 constitution), she said she hadn’t and they probably wouldn’t have answered if I had asked. On September 1, 2000, awate.com was launched. Been 18 years now. HBD, awate.com. Fun quiz for those who are good at remembering and those who are very good at guessing. Who wrote the Introductory Article in the day Awate.com was launched? I will reveal the answer tommorrow evening.. I guess Awate.com launching introductory article was written by Saleh Gadi Johar. Awate Team… The Pencil Editorial? Smart move as usual. But, perhaps Ghezae should have been a bit specific. There is difference between the gentleman or lady who penned it and the publisher. My best guess is saay7 first, and SJ himself second. Also, a heavy weigh guest could have been asked to write the first editorial. There were several accomplished contributors at that who disappeared later. For example the author of the “fertile womb” articles. Agree! Unless it is Beyan Negash, እዛ ብርዑ ባዶ ወረቐት እንተረኺባ ዘይትጭሕግሮ የብላን 🙂 :-). You are the winner. Ghezae what’s the prize? Thank you. I will share the prize with you. I also thought Dawit had written something like the need of a website, something like a launch or pre-launch introduction. It was a long time ago. I didn’t have grey hair then, the memory was much better. Now I have a tuft of them and the memory getting greyish as well. The brick that you and others laid that day is still beautiful, powerful and extremely timely. The only difference I see is the absence of the entity called PFDJ. It was a time when EPLF still had a vibe, before it got hyper-cleansed, before people became aware of its reduction to that name. SGJ and those who helped him to establish this website should be proud of themselves. Though some did not want to see Awate.com’s quality due to ulterior motives, admittedly from its inception, it became to be the place where civil discourse was the language and intellectual thinking was the method. Even when accompanied by emotions and verbal batons, the utility of everyone’s input was and is still recognized. First, I thank you on behalf of myself, and my colleagues, past and present, for bringing this up. In fact, we didn’t do anything on September 1 as we usually do. 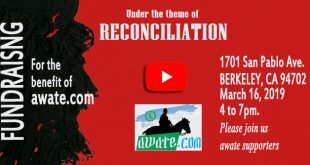 But surely you remember that mentioning the name of Hamid Idris Awate the initiator of our struggle for freedom, let alone naming a website after him, was a taboo, and the PFDJ tried everything to get hold of the domain name in many ways. The regime was furious to let that go smoothly, particularly after they saw the big guns of the time writing on awate.com. You would be amazed that many f the present day leaders and famous activists were introduced to the public via awate. The Internet was at its infancy, particularly among Eritreans, and the fact that known names from Dehai joining the team was a marvellous development. 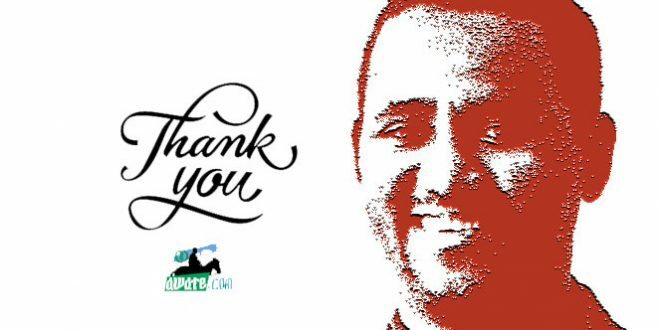 Names such as Saleh Younis, Dawit, Mesfin, (both co-founders)Beyan Negash, Amanuel Hidrat, yourself, Menhot, Ismail Omer-Ali, Semere Habtemariam, Mensur Kerrar, Fisseha Nair, and many, many names that I hope to write about in detail in due time, Inshaa Allah. All I can say, is, we followed on the footsteps of meskerem, which unfortunately is not the same meskerem of the time when it was the only genuine opposition website–a position it sadly abandoned. The few remaining were not sure where to stand and kept wobbling in between passive opposition, shy criticism, and mostly holding the stick in the middle. I can proudly say that awate.com changed the game, it empowered many people–including senior offcials of the regime who provided us with fresh and vital news–something that make Gedab News a household and go to source of news. I do not want to say more, for now, and since our archives are in a manageable state, we can extract any file from the old days. But since HaileTG told you “Tederer” and a few others have guessed, let’s see how accurate you are and I will bring you the maiden editorial that appeared under The Pencil. Also, please note, we had many articles lined up before the launch on September 1, 2000, and many appeared on that day. The launch was stunning because it made the website look like it was operational for a while. Thank you, Ghezae, for remembering this. When I posed the question, I had inkling what I tried to get to could be a little different from how I formulated the question. That is after I typed it. Should I say “guest” writer as in guest speaker? I settled in the introductory writer, as the writer who introduced the website to the public. I had full faith the Salehs would jump in to correct or second me. Thought the other Saleh. The answer to my recollection is BEYAN NEGASH. See how serious we are about withholding identities of our writers, we will never disclose Mensur Kerar’s identity unless he does it himself (like Menhit who was working in a sensitive post and couldn’t disclose his real name) but you and most others know Mensour though I can’t see who it is. I didn’t know he was writing under a pen name. In any case I want to see him to come back to read his writings. He is a good writer. If I know him (as you said), I hope to whisper on my ears. Sorry I don’t mean to you, I mean to Mensur to whisper on my ears, if I know him. I want you to keep your principles to hold their names until they come up to the open themselves. weeehhhwwww this belated reaction or response gives me solace or relief because for a looonnng minute there I thought there was some underhand behind the curtain sinister deal and sort of a silent endorsment of the “Medemer” line of thought and strategy. Abscent the hand held Eritrean flag on you “Torserawit abahriruni” epesode “enquireres wanna know” personalities will question this lag for quite sometime. My reason for this comment however is to entertain, this time, thoughts such as the possible significant negative contributions awate.com has contributed to the Eritrean body politics since its inception on September 1, 2000. The claim is not that awate.com intentionally negatively contributed, rather it may boldly have openned pandora’s box and was unable to cash in the grand prize by its inability to manage its humangous success. That kind of audit is very important. Please do that by any means and I promise to engage you wholeheartedly. On the silence? It is noticeable, isn’t it! Indeed, we feel that the struggle to rehabilitate the good name of Hamid Idris Awate has paid off. Now that the father of our struggle is fully embraced by anyone that matters, we feel we should take the backseat. BTW, all the articles that appeared on the 1st of September 2000 are now linked above. Seemingly an innocent question has now unearthed all of the articles that were written then. I would’ve told you, my friend, you have more confidence in me than I have in myself for you to misremember that I might’ve written the first Pencil’s editorial. I am just now barely reading the exchanges related to the question you’ve asked. Needless to say, I used to wait for Pencil to arrive like check nai-baHti akin to one who eagerly waits for his monthly salary. It used to be published every month like a clock work. What a joy read it was. A journal quality of ideas were contained in it. I still believe if the AT would publish all of the Pencil editorial, say, in its 20th anniversary in a magazine form, it would sell like hot potatoes. I agree to all what you said and I have very similar experiences as yours. The one point I would see difference is that, at least in 2001, the G-15 wanted to introduce rule of law and democratic principles albeit to a limited capacity. And they were members of the the same ghedli and had they had won the fight and proceeded with the implementation of what they proposed, I think we will be talking about different Eritrea. The fact that there were people within the organization thinking of doing different things other than what IA and company were doing, gives me enough reason to believe that all ghedli are not the same and equal, and I do not agree that we have to measure them by the same weight they have no hand on. Specially since they had the choice to keep quite and live in peace supporting the regime or by doing nothing. Hi Mr I know it all. Did “deqi alula” comment tesemiUka. Why you always like to tell me I don’t know anything and you tell me nothing. And then you end up labeling me weyane. That’s all basically you been saying for the last how ever months. Do you have anything new? How to remove IA? Zigebr neduEu neynegir. I am marsa and I am here to join your team discussion. Then a plowman said, Speak to us of Work. For to be idle is to become a stranger unto the seasons, and to step out of life’s procession, that marches in majesty and proud submission towards he infinite. Which of you would reed, dumb and silent, when all else sings together in unison? But I say to you that when you work you fulfill a part of earth’s furthest dream, assigned to you when that dream was born. You have been told also that life is darkness, and in your weariness, you echo what was said by the weary. It is to weave the cloth with the threads drawn from your heart, even as if your beloved were to wear the cloth. And to knw that all the blessed dead are standing about you watching. Often have I heard you say, as if speaking in sleep, “He who works in marble, and finds the shape of his own soul in the stone, is nobler than he who ploughs the sol. And if you cannot work with love but only distase, it is betterthat you should leave you work and sit at the gate of the temple and take alms of those who work with joy. And if you grudge the crussing of the grapes, your grudge distils a poinson in the wine. I have been reading tonnes and tonnes of posts regarding the books supposedly to have been written by Berhane Abrehe. One thing I learned from them is that there is nothing to be learned from them. The Waking Dead (aka the opposition) blame every thing under the Sun on Isaias. The supporters of the EPLF/PFDJ always sing the praises of Isaias, no matter what. Some ex-EPLF fighters who abandoned the ship claim that the organisation was democratic while fighting in the field. Others say: “Isaias has been deceiving us all along “. In summary, negative or positive, everything is about him, Isaias, ‘Nsu’. What does this reflect about Eritreans? Can we say that we deserve what we got? Beware of the elites who set up Liberation Fronts and Parties promising to bring freedom to you. They are only in it for the power and glory. They will use you as a canon fodder and as stepping stone to later become your oppressors and tormentors. Examples are abundant all over the world for you to see, if you are willing. after all is said and done, the bucks stops with ‘Nsu’. It is natural for passengers to blame the drunker captain, and he in turns blames the incompetent management. While confusions ensue and blame game prevails, the ship might experience distress or even sink. It is a logical fallacy to try to divert attention from collective responsibility of the entire organisation and all individuals who could be implicated for taking criminal acts to the responsibility of a single individual. This investigation must include the ELFs deeds as well. Are terms such as aiding and abetting, collaborating, being an accessory, conniving, turning a blind eye with a wink and a nudge familiar? Surely, one person cannot do all the acts Isaias is being accused of doing single handedly. Investigate ELF all you want but what exactly have they done? Can you please give us some example in comparison? Your question has the ring of fakeness to it. Don’t you know that guerrilla groups use assassinations, betrayals and double crossing, to name but few, as their tools in their climb to power? In any case, you need to be patient and let the victims of the Mafia guerrilla groups reveal the skeletons in the cupboards. No need for investigation, the boss has already declared cleansing. This in itself is a major crime for those who participate in it in any form. All past 80 years criminals will face lawsuit, no right will become abolished or invalid with prescription. It seems impossible for those who are naive, but it will materialize. My question was, what’s the priority to what you are asking compared where we are today? You seem to give equal weight to the suppose crimes committed by ELF, when they operated until 1981 (37 years ago) as suppose to the crimes committed by the Eritrean government since it come to power. I will repeat what Ismail said “ክንቡርክት ክይንቡርክት ኣብ ማይ ዘለዎ ንብጻሕ ይብሉ ኣቦታይ ከበሳ ኤረትራ።”. Let’s get to the destination of creating a constitutional government then we can work on the rest. You are a shifty chap. Do you seriously believe that your current question is the same as the previous one? I know it’s not but that’s what I was going with … because you were shifty yourself …, we are talking about PFDJ current crimes you shift to ELF more than 40 years ago alleged crimes, and you are warning us what those opposition leaders are promising to discourage people from supporting them. You are an Asmara University graduate, aren’t you? Is this your best reasoning? Typically clueless and not very bright. Yes. And you were my teacher. Do you know why the Kaleab asks many questions? He has a ready made strategy, just waiting for executing it. As you know he is in search of an opportunity to begin his cleansing. Participating in such strategies in any form in itself is a major crime. Good advice! I love me some MS first thing in the morning. I love me some MS period:I will deal with him when he, like the Terminator, picks himself up and dusts off all the lethal bullets fired at him. For now, his punishment is to re-visit 2 topics: (1) his great rebuttal to SEMG on its claim that Djibouti POWs escaped; (2) his great rebuttal to Mesfin Hagos on Isaias Afwerki cluing him on his Addis Siren Call. I am looking at summarized info about the Geneva protest , any one who can say a word about the AYNIDMERIN initiative? Haile TG , do you have anything to say ? Geneva was a success in general. The demonstration day was significant in the sense that it has made the right point in a right manner. It has shown that there is a vast opinion base among Eritreans that is not represented by the Eritrean regime. I am sure that will be included in PMAA’s long term calculations. There was no singular party to whom the message was only intended. It was a statement of position on IA’s regime and the agreements it is entering illegally, without proper constitutional and legal restraints. In the event that a force of change comes forward inside the country, the demo has shown that a strong public support awaits it. In essence, it was a demonstration that has created fact on the ground by being the voice of concern as it is felt by majority of our people. The second day meeting has shown a lot of enthusiasm and potential among young Eritreans to impact the struggle in a positive way. It also showed that such in itself is a process and the organization aspect glitches were to be expected. The important thing is the mass opposition that has been gathering momentum over the years is now ripe for the birth of a unifying ideals and leadership. The latter may likely come from inside the country proper, but backbone of large diaspora support would help to stabilize things. It was also reported that the spirit of mutual understanding and tolerance among Eritreans is taking root and it was hard to miss the ambiance that reflected it fully. Those who oppose the opposition are increasingly viewed as spoilers and immature wannabees. There is a certain aura of calm confidence among the vast masses of people opposing the regime. Am I doing the ብዓወት ተዛዚሙ edition or am I writing also about ፍሉይ ረብሓታት ዘለዎም? In sad news for Isaias Afwerki, the Ethiopians chose Lemma Megersa as their “Person of the Year.” The even is held to commemorate the beginning of the Ethiopian new year much like Time Magazines ferenj new year. This begs the question: is Post Isaias sell out, is Eritrea going to follow the Ethiopian calendar? I don’t know if I can’t top Ethiopian media’s collection of superlatives and weirdness. My favorite is “ዶ/ር አብይ ጎረቤታቸው ሰርፕርይዝድ አደረጉ.” They unnecessarily borrow an English word, conjugate it badly, THEN make it the headline of the story. I really don’t mean to be a chavinist but I read the prose of jailed Eritreans (just read ቍራቦ ካብ ሽዱሽተ ዓመታት ማእሰርቲ ማይ-ስርዋ by Yirgalem Fisseha from the abruptly closed Radio Bana) and I just marvel at how mysterious God has to be he works in mysterious ways. Ok we get: less mystery now; one which rewards righteousness. Where was I? It’s all your fault Hailat. Now you brought God into this it got me thinking. You see God is both mysterious and funny, He does the first to keep religion in business and the second one for his pure entertainment. I think the whole reason he created us was to poke fun on us ad infinitum:) What you said above is due to his design for everything to move from complex and serious towards simple and ridiculous. In that exact order so the fun effect is maximum. Its like since God is the best at everything, so should he be at comedy:) You have the right to choose to trust on God, but just remember that the planet we’re sitting on is not holding to anything! 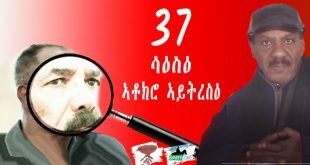 Can you please provide the link of the article of Yirgalem? Minister Berhane, if is he about to spill the beans, why has not joined the G-15 to confront dia. was he afraid then, why now?. person interest. i want your two cents if you can. I am afraid I may not have the answer you are looking for. My view is everything and everyone has unique inception date, maturity date and expiration date. It’s part of the mystery of humanity. I will be all for Eritrea changing it calendar. In fact, I will campaign for it..
Eyob: Aligning with the Ethiopian calendar? That’s a great idea! After all, Eritrea is a miniature Ethiopia. In a country that describes itself half Muslim half Christian, it has accepted the Gregorian calendar (regardless of its Christian association) as the calendar of the world. We should go one step further and associate it with a specific denomination of Christianity (Tewahdo). Because Eritrea is a miniature Ethiopia. You must have missed the sermon of Dr. Abiy before he become prime minister. Why is Ethiopia still using different calander, it needs to change to Gregorian calendar. Eritrea ha already changed and says we should do as well. I am paraphrasing. I would say in this case Ethiopia will likely that will change. About 80% of Eritrea IS Abyssinia. (I am very conservative in my estimate on the percentage there 😁 So it should have been natural to you all to use Ethiopian calendar rather than a Catholic pope invented just for kicks so called “Gregorian calendar”..
Ethiopia and it’s nations and nationalities used a home grown (sort of) uniquely African calendar…No Catholic pope dictate to us what day it is…we do it on our own calculation..
Do you know that Ethiopia and Saudi Arabia share the same time system? If you tell a Saudi Arabian Beduin to meet you at 3 O’clock, he will likely ask you “Arabi wella Afrenji”? (meaning, Arabic or European time?) Arabic time is similar to Ethiopia, sunrise at 1 O’clock ending at sunset. Eritrea’s population is an estimated 3.2 million, according to a non-public labor force survey for 2015-16 by the labor ministry that Bloomberg obtained independently and Luul said was authentic. A public report by Eritrea’s foreign ministry last year cited a 2015 estimate of 3.65 million — a discrepancy of 450,000 people in two official documents that both cite Eritrea’s National Development Ministry. Does this also mean the population hasn’t grown significantly over the last 3 decades? In your absence, while you were out at the UAE’s Ministry of Foreign Affairs helping negotiate the Eritrea-Ethiopia normalization process, we discussed the 3.65 million which reported as a footnote in Eritrea’s response to the African Commission on Human and People’s Rights (ACHPR.) Let me just pause here and reflect again that for PFDJ it is always about PFDJ: the only reason it mentioned the 3.65 million number is to make the case that the World Bank’s GDP/capita numbers are understated is because they inflated our population to 5 million. We are only 3.65 million. We should also give credit to a remarkable Eritrean who goes by the name Wulad 9 (twitter handle @ZeMike09) who teased this information out of the reporter piece by piece. Near as I can tell, this Wulad 9, doesn’t sleep and he is tweeting facts and information with single focus on Eritreans and he let’s his facts smack around the hgdefites. * The reason I consider the Ethiopian journalists in Eritrea useless is not just because they were oohing and aaahing that a “Justice Minister” uses the cab with the commoners instead of asking what the Justice Minister’s case against the disappeared is. No, that would require guts. It is their laziness. This Nizar Manek who, judging from his name, doesn’t speak any of Eritrea’s language was able to determine things they couldn’t. And it is not just the Ethiopian reporters who work for Ethiopian media; it is also Ethiopian reporters who work Reute’s ( Aaron Maasho) who are too lazy to do their job. Here’s Reuters on July 23: “Last week, they [conscripts] were told that they won’t serve beyond 18 months because the dynamics have changed,” one family member of a conscript who had just been recruited told Reuters on condition of anonymity. Another person confirmed the announcement at the ceremony, attended by President Isaias Afwerki.” Well, guess what. This reporter, who doesn’t speak any of Eritrea’s languages spoke to conscripts and army officials and said, nope, it never happened. The point is not that their life was better than others but the idea they fought and died for and the legacy they left behind. For example, what’s the point of creating a statue of the shoe they put in Asmara. A shoe is not capable of picking up arms and fight but the person who was wearing it more important. If a shoe company who created the shoe needs to make a point, it make sense. Wouldn’t it make sense build a statue of tegadelti who died wearing those shoes? What’s the point of having a statue of the tanks in Massawa. If anything the tanks were used against us and the terrified and destroyed us. It’s not like EPLF invented those tanks themselves but they took it from the Ethiopians which were build by Russians and used against us. Wouldn’t it make sense build if statue of those who died destroying those tanks instead? Why should Eritrea build a statue of Abraham Hannibal who was suppose to be a grand son of some ERITREAN who was sold as slave? Did Pushkin wrote anything related to Eritrea or his suppose to be ansecery? But we have people like Welwel, Ibrahim Sultan, who wrote volumes of Eritrea and Eritreans? Why shouldn’t build monuments of them to remind the young generation of their struggle. Why shouldn’t we build a statue of Awate who ignited the fire that started our struggle? But IA is always after erasing ERITREAN history and identity. He rather have tanks and shoes as a means to forget and erase our history. That’s the point? Can you share such example of hero’s from any where in the world? “connecting dots provided to me by my X-ELF Uncle.,” Is this for real.? If that is the case I may be talking to the wrong Hope. The Hope I know is a veterian ELF fighter, probably among the leadership of EPDP. “When in the Course of human events, it becomes necessary for MAHMUDAY to dissolve the GROUP-STRINGS which have connected with some of AWATISTAS GREATEST PEOPLE, and to assume among the powers of the earth, the INDEPENDENT and UNIQUE CHARACTER to which the Laws of Nature and of Nature’s God entitle HIM, a decent respect to the opinions of mankind requires that they should declare the causes which impel them to SPEAK THE TRUTH.” (Taken from The Declaration of Independence, and edited to suit my voice. Upper-cased insertions are mine). General remark: I wish and hope that Eritreans inside the county brave censorship and write their accounts, give us direction, etc. I also recommend that a platform or committees be constituted to steer, coordinate, publish and distribute such “leaked” books with only one condition that the authors be open to the public and get ready to face the consequences. This point is essential because the diaspora is fatigued with lairs and peddlers who have no feeling of personal responsibilities but to make a buck out of the anxious public. So far the books that have come out of the born again “deleyti Fithi” have been found to be rubbish, except for Dr. Andebrhan W/Giorgis’ and Dr. Bereket habteSelassie. Of course, for some, they have been made household collections, but not for the people who care for factuality. A/ I tried to speak with several people I thought had some knowledge in the diaspora, none of them told me they had some knowledge of it. In fact, most of them said what I’m going to put below, which collaborates my gut feeling. B/ I reached a couple of people in Asmara, none of them was ready to say anything about it, they were either not aware of it, or they were not in contact with Berhane for a long time. Therefore, I left with the said excerpts of the book. 1. Could Berhane brave to write a book? Yes. 2. Do these excerpts look like they came from Berhane’s mind? I doubt it STRONGLY for their redundant and shallow content. I don’t hear Berhane’s voice in these excerpts but could discern the voices I’m familiar with from the Diaspora activists. So, what is the possibility that this book could be linked to Berhane? Bringing folks like Teklemicael Geogeo, Dawit Woldegiorigis, Meles Zenawi and the likes as uncontradictable and authentic sources show how deeply biased our intellectual acuity has become. Of course, there is no 100% certainty in our judgment, and indeed in nature. Therefore, I am also open to the possibility that the book could have been authored and authorized by the former minister. However, that margin of probability is so slim that I’m inclined to believe that at the end, when the fog of agitation settles, many folks will be disapponted. Hint: Excerpts are extracted from the body of a book to allure readers to read the book. They represent the beefy stuff of the book and are a good indicator as to whether some has to buy the book or not. Judging from the excerpts I have read, I don’t find Berhane in them. These have been in the market for the last decades. They are too shallow, in their substance and in the way they are narrated. Now, as a soldier, I’m ready to face the firing squad. It is in the tradition of the military that I will have the privilege to order you to fire at me. OK.
I’ve been following Kbrom Dafla for a long time. He is a credible fella, specially by PFDJ’s low standard. Before my brief rebuttal of your hypothesis, I have one question, you got me thinking about IA. In the history of Ghedli, we are awash with stories of heroism of many top leaders of which most are liquidated by IA. But, it is eerily missing when it comes to IA. We were told headvised to beat retreat from Assab but the day was saved thanks to other Eritrean leaders with guts. He screwed and lost on everything including the last card he had on the boundary. Would you say IA has any notable heroic event under his belt or those who noted the softness of his hands, when PMAA put a ring into his finger, had a worthy observation? On the rebuttal side, you had me eager to learn new facts but opinion took the best of you. I love your humor and resourcefulness. I may be wrong, and I have been wrong on a few other assumptions. Of course, we all are speaking about assumptions and inferences. So there is a lot that could go wrong. As of the time I wrote that comment until I find convincing material that indicates the book was written by BA, I welcome your rebuttal in good faith because both of us seem to have no first-hand source. On IA heroic actions: I don’t know what you mean by that. Our doctors did heroic action by saving lives; our garage mechanics made heroic action by mending and repairing engines and metals, and the list goes on. Our frontline tegadelti did heroic actions. I served in both rear and frontline and there is no unique bravery that I can mention, but I know many who made extraordinary things. When I joined the organization, it was relatively small, and we used to interact with the man frequently but he was not in a position to fire bullets. And as the organization grew rapidly, its bureaucracy also grew up proportionally. I don’t have to lecture you that organizations need a nerve-center and those nerve-centers need to be protected. But even so, Petros Solomon is on record saying that IA was acting dangerously in the battle of Massawa (1977) and they had to “restrain him” from putting himself in the line of fire. Now, mind you, there were commanders ahead of where IA and Petros were supposed to be. Many others, including wedi-Temnewo, also commented on his presence in different battles. That’s before I joined the organization. Normally, a brigade commander is about a kilometer or more behind the line of fire, depending on the terrain, a division commander could be found with the brigade commander or a bit behind him depending on finding an appropriate commanding post. However, there are artilleries and fighter planes which mop the rear areas and you would not be out of danger. The EPLF paid heavy sacrifices of the top level in 1977-78 because most members of the CC were brigade commanders and they were embedded closely with the charging. or defending troops. Later though, as the battles took their toll, regulations were put in effect so that the brigade commanders and above would usually move behind the fighting troops in a way they could give proper orders to the entire frontline their troops cover. Now, consider IA, the man who was leading the entire war effort and you will have the picture. Meles Zenawi is said to have been less a brave in battles but he had led his organization. 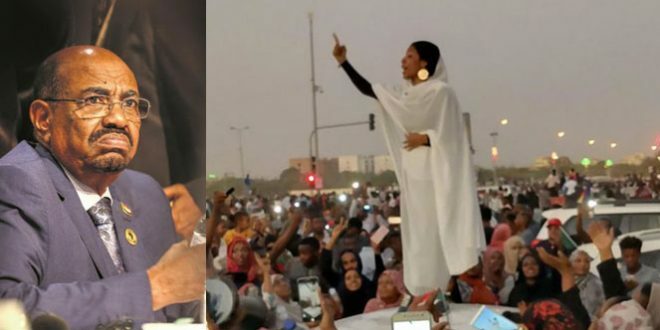 This is not to say IA and Meles were similar in bravery but to make the point that courage and valor are not necessarily the ONLY traits one would make a leader. The above Hateta was made to put your question in its proper place. Oh about the place: shall we wait until we occupy BaHti-Meskerem field? You are right that every contribution in the Ghedli effort can be considered as heroism much like all efforts at knocking down the current curtain of fear and delusion. But ሓለፋ ድማ’ሎ;) Ghedli has produced many such individual heroes across the rank and file of both fronts. I admire your generosity towards IA, but even with that all there is that he was “acting dangerously” (no surprise there:) or “had to be restrained” (no wonder! look at him now unrestrained ዕዋላ፡). Seriously, there is nothing in his resume that can be pointed to without helpful interpretation by well wishers. Like we don’t even need to analyze the feats of the leaders of qiTaw, Nadow, Massawa90… They’re just there. I think Eritrea is in precarious situation now and one would hope such people with street cred would move in to sail the stormy rides ahead. IA is naturally opportunistic, that is why he is hiding behind fickle positions on this or that. If he had a drop of the gut his comrades showed, he could have came forth to face the public and would have answered questions head on. Let’s admit it Mahmuday, the guy played the system despite the best intentions of the fronts. I have heard ዑሱብ being used by some ex-fighters to describe him. But then again ዝወዓለ ይንገር ይሓይሽ ኢለ’የ ማሕሙዳይ! ብመጀምርታ፡ ንዓኻ ኣንታ ርጉም ሃይላት፡ ሓመድ ሃገረ ክሳብ ዝስዕም እቲ ፍርዲ ክተጽነሓለይ ብትሕትና እሓተካ። ብተወሳኺ፡ Even if I say IA was ጆራቕ; that’s not going to change the situation. So, I was answering your question, I was not defending IA, but I understand the mix of emotions as displayed by BerheY and ato ayneta, two people I’m deeply indebted to for their continuous mentioning of MS, poor me. I could only say, “Thanks a lot.” HaileTG, ends here. Dear ayneta and Berhe Y: you can express your mind without throwing things that you can’t back up. I think we need to protect rare species like me who are going to give a headache to anyone who aspires to be a politician. እዚ ዓብዩ ዘይዓቢ ጥሩፍ ኣተሓሳስባ’ዚ ኣብ ስደት ክበሊ ኣለዎ። ኤርትራ ክኣቱ የብሉን። ህዝቢ ኤርትራ ንነዊሕ ተጸብዩ እዩ። ዝሓሸን ኣተሓቛቛፍን መድረኽ ክኸፍት ተኽእሎ ኣሎ። ብዙሕ እንተዘይረሃጽኩም ይሓይሽ። ኣነ ካባኹም ዝጽበዮ fairness የለን። Should you continue on your mudslinging business, that’s up to you but no one, I say, NO ONE will influence my thinking but calm debates based on substance and/or evidence, not through name-calling. In the past, I have said so many things about PFDJ and IA, and I will continue criticizing them, on my own terms. But I’m not ready to consume things that cause nausea and vomiting. Nausea and vomiting are signs that you might have consumed poison. You are making an impossible argument to prove. That is you are denying (planting doubt) that the book is not witten by BA. Now be honest to your self, how do you expect people to provide proof to you that he is, while he is in Eritrea under the jaws of IA? I don’t know if Saay has something to do with it or not, but you said he may have been. Wouldn’t it be easier for you to ask a proof from Saay? And the next question to you is, why isn’t something provided by Saay is not good enough? You have 20 plus years of records as evidence. SebAy enteKonKa argue on the contents of the book and prove that it’s wrong. I personally do not care if you are convinced or not. It doesn’t matter you believe what ever you want and choose to believe. 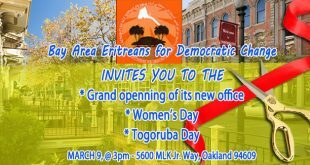 I am not expecting anything positive that benefit the Eritrean people to come out while IA is in power. The only news that I wait to see and want to hear is, (I pray that I live long to witness it) the death of IA. Don’t worry about the ideas that we will bring inside, yuh should worry the evidence you will find when he is gone. You are clearly trying to plant doubt in the mind of readers with your endless scenarios, like a loyal lieutenant does for his boss-your former boss a.k.a IA. It is just another strategy to create an ”alternative scenario” in an effort to discredit anything and everything that seems to criticize IA or Ghedli in general. In a way, it is like what POTUS and his legal teams strive to do in the US. I am sure you understand that in the opinion of public courts, what matters is what information and argument you present to the public and how aggressive you are in implementing them. Your strategy smells like one. It is mind blowing how mute ex-fighter get when it comes to any criticism of ghedli or IA. Frankly speaking, you have impressed me as a fair guy over the course of time that I have known you are at Awate, but you retort to your ghedli mentality whenever you sense a slight criticism of ghedli or IA, one that borders blind obedience. The other day you nakedly told us IA is the only leader who can get the country out the mess it is now, following the latest development in the border war between Eritrea and Ethiopia, the same guy who got us here in the first place. Someone in his fair frame of mind would not recommend a problem to be the solution at the same time, you just cant have both at the same. But you did, and it is not out of ignorance but rather out of deep loyalty to the IA. Dejen’s syndrome! And now, with your customary IA-wey-mot mentality, you are trying to seed skepticism in the public court regarding the upcoming book . The book may not come out at all for all I care, but your efforts to ‘mud the well” with preemptive shoots is just outright cheap. I don’t agree it’s defending ghedli, but defending IA and his inner working. There is nothing wrong defending ghedli and its legacy but it’s beyond me how one can defend IA for all the wrongs he inflicted on ghedli and all the way until now and continue to do so. I have asked many people and so far I have not got a satisfactory answer. And the question is: how was members of the secret party within EPLF organized, recruited and how is it possible to this day that no body had said anything about the inter working of the secret party? So I have started seeing from these angle and able to see the difference between EPLF and IA and his secret party. I am convinced that there is a training manual they go through and some sort of sin they must commit in order to be admitted and never to reveal the secret no matter what the circumstances (similar as in mafia organization). I am also convinced that there is a hierarchy within that organization where a very few are truely trusted members organize around some common goal where others are used as a vehicle to the upper hierarchy. Here is some thoughts that crossed my mind. IA, since he is the decedent of Ras Alula solidiers, he has full knowledge and database of every Eritreans. He uses this group of similar background to create his selected trusted members who are given a training manual that they swear their life with. Since these group are small, they have very key interests that organize them such as. Look we were rulers of these country and these people but due to Italy our power has been lost, our king has gone and we are reduced to be second class in the same land we used to rule. We are cut off from our mother land Ethiopia and here we have nothing, not even a Kand to call our own an these people shame and insult us. We need to restore these so we have to operate in secret to make sure that we will get back to being rules of the land and the people just like our forefathers did. Then they recruit the second class supported and use them as solidiers to implement the order. Long, long time ago, I asked AT, they should try to expose who the real leaders are. Where they come from, which school they went to, what their background, history and how are they related to each other. They told me, they don’t see any value in doing so but if they find it necessary they will as needed. We are just shooting in the dark and we don’t even know who we are fighting. If anyone who has the slightest sympathy to IA and the regime since September 2001, I think we are just wasting our time. We don’t need to reconcile or make peace with such people because they are the same people who are oppressing our people. MS and others like him are such people. They will never run out of excuse to defend IA and what he is doing to the country and the people. How can there be EPLF without DuruE and Sherifo? 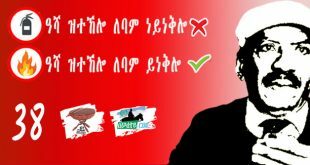 How can there be EPLF without Mesfin Hagos and Okbe Abraha? How can there be EPLF without Berhane and Petros Solomon? What ever EPLF was, it’s dead and buried in sept 2001 openly and there is nothing left since except King IA and his royal deqi Alula family. 1. One need not be a writer to comment on books, readers do comment on books they read. Don’t they? 2. Two readers, reading the same book, may come out with different impressions. Is that not true? Thanks for the cheap jabs you throw. They make me better. Yes, you could have comment or criticism with respect but you haven’t earned the right to rubbish them. You have to be a better author, then people will respect your judgment. Ha…ha…not only the right to rubbish them, I have the right to burn them because I paid money to get them. If you find them useful, then that is fine. How about that? Relax, man. Absent minds mimic and market a tyrant rubbish products. First recover your ownself to learn the abcs of analysis. By the way do you know what analysis mean. I don’t mean a layman analysis, that any Tom and Deckins can do, but scholarly analysis? I am cool as Cucumber and good luck with burning books. Good you got interest to rejoin the forum after noticeable absence. Having gone through your comments about former Minister Berhane and the responses moments worthy fellow forumers posted, I paused to wonder why you had to go to such extended endeavor to plot scenarios whose ulterior aim cannot but serve to try to plant preemptively in the mind of prospective reader about a book and authorship that has not yet arrived bookseller’s shelf. Of course it’s within anyone’s right to comment in anyway chosen. But, I am thinking in the backdrop of time and country on the verge of potential change from waning one-man despotism. And, we all know tasks done or books written in circumstances like that our nation finds itself in, cannot be accomplished except under impenetratable secrecy. I mean the sources you had consulted cannot in way own clues that make one to form opinion. For the country enduring the burden of the last phase of an aging dictatorship, the point for liberation seeking public opinion is not who writes a book or does a task. It is how far it contributes to enhancing efforts and exposes the follies of despotism and escalate the political battles. Books and other works are valued more for public relations and mobilization ends than academic or artistic discourse. Thus, under current circumstances, BA’s books or books should appraised and read in that premise or spirit, and be swayed by any expediency as people who aspire an early relief for our people. Of course, I am not fantisizing change is eminent. However, the pillars of policies the regime has been using to sustain itself have cracked and set the despot on the to rush to find other pretexts. In the process he had to encroach on political taboos relating to sovereignty such as denying the separatness of the Eritrean people from the Ethiopian people’s – deadly violation under normal conditions of sovereign nations. I think we have over-killed this thread. Al-Arabi will get us a scholarly analysis in his unscholarly way. ብሩኽ መዓልቲ and happy Labor’s Day. Ustaz IsmailAA and HaileS, I would love to stay with you but I will be offline. I have already exchanged replies with the rest. Please do not take the case as ganging up for confronation. The issue is about responding to comments on a topical issue that falls in line with current interests. Nothing more than need for engaging. I hope you would take the issue in that spirit. I am glad that yet another insider broke the Omerta. An ‘insider’ still living between the teeth of the powerful jaws at that. Reading the excerpts of Berhane Abrehe’s book, I must admit, some of the skepticism you expressed brushed my thoughts too because I was expecting something original, something crunchy or at least presented in a crunchy style. Who knows, I may get it, I just need to read the whole book. But I came back quickly to my senses saying this is not at all the right time to expect all that exciting qualifiers. This book was written, rewritten or refurbished, if you will, by someone with heavy stomach who has knowingly (or not) swallowed snakes upon snakes for the last decades, someone with thick phlegm in the thoat that he cannot cough away easily, someone who cannot understand how he resisted or voluntarily subdued himself or worst just naively discovered the stunning consistency of a ‘monster’ who have preached his prayers in broad daylight and still escaped the attention of his entourage. Perhaps this entourage were in-sync or were too closely placed to him that they couldn’t zoo-out to see the extent of their collective failure. That is the part I am looking for in reading the remaining chapters of the book so that the merit-less dangerous collective admiration of a cunning remains an everlasting lesson for generations to come as Mr Berhane said at the entry of this excerpt. Powerful! You’re at your best! Well said Kbur Haw, well said! እዛ ማህደር ብዛዕባ ክቡር መራሒና ብረዚደንተ ሃገረ ኤርትራ ኢሳያስ ኣፍወርቂ ኩሉ ሰሰናዩ ኣስፊራ ተትነብር ብርሃነ ዝጻሓፋን ዘይጻሓፋን ብእዝነይ ከይሰማዕኩ ከም ሃዋርያ ቶማስ ክኣምን የጸግመኒ እዩ ምበልካዶ? It is clearly visible here, the mouthpiece of the regime has deliberately omitted the name of the patriot who fired the first bullet that heralded the start of the armed struggle, namely one of our national patriots, Hamed Idris Awate. Yes, the despot’s nightmare from day one on the field of struggle and honor was his failure to erase the indelible fact from national memory the role of heroes and heroines who had left their mark in our modern history. 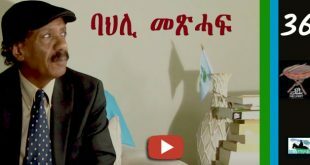 As saay7 has indicated in one of his comments, he cannot not accept that there were other heroes preceded him and had their names written in Eritrea’s national memory. He has shown extraordinary cowardice that he even felt terrorized from graves. He refused repatriation of their remains to the soil of their country to those who passed away in exile. For instance, he refused to transfer the remains of Awate from the remote location in Western Eritrea. Not alone to the capital but also to any major town such as Agordat. The only national figure he could not prevent from returning to liberated Eritrea was the late Wel Wel. This ego-centric person had left no stone unturned to make the national flag that represented the continuity of Eritrea legal political and geographical entity and Hamid Idris Awate taboos – deception to which unfortunately some among our young generation have fallen victim. But, history once made cannot be falsified or erased through whimsical revision as anyone can witness in regard to the two points I mentioned. This time around, as he runs of time and forced to make deadly and desperate mistakes, much horror shall come to the surface, which the revelations Minister Birhane’s book is anticipated to make could become tip of an iceberg. The fox-holes and dungeons in Sahel, and many spots, had witnessed terrible crimes that could hard to imagine. 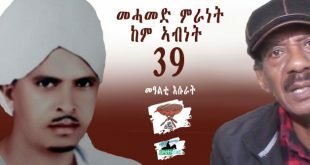 Selam Ismail AA, it is indeed very strange that Eritrea cannot afford to grant a two-meters burial ground at its patriots cemetry in the nation’s capital, at least for the two of our patriots, Hamid Idris Awate and Ibrahim Sultan. Instead, they have been busy errecting a statue for someone from other continent, whose connection to Eritrea is even disputable. As you described it aptly, the despot that is ruling our country is such a coward that he is even afraid of the dead. I hope and pray that our new hero, minister Birhane Abrehe, survives to see an Eritrea free of its malady represented by the treacherous man. I didn’t know you went to Med. School. Good for you. Really. I am not in any of the social media pages but from what I hear, PFDJ dogs are already with a strategy to damage the content of the book where some of them are saying that the book was written by someone else pretending to be Birhane and the other strategy is the old tactic as in saying that Minister Birhane is suffering from a serious mental illness. The sad thing is that some of the mud is sticking on some souls. Consider the following scenario: Minister Birhane writes the book and he gets publish it in Eritrea instead. 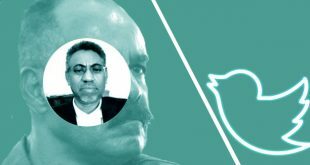 The government accuses him of damaging the reputation of a seating President and the President’s lawyers press charges against him and Miinister Birhane sees himself in the court of law with his legal counsel. The government and private media follow the high profile case closely and the public debate about it openly on radio and TV programs as well. And in the mean time, some of the outraged people take it to the streets and demand for the President to resign. And equally, the supporters of the President take it to the streets to show their support. Minister Birhane presents all the evidence including witnesses who can back up his claims and finally the judges find the President guilty and the parliament votes for the President to resign effective immediately. And the second scenario is men in black knock on the Minister’s house in the middle of the night and make him disappear into the thin air and the public sinks into a dead silence including the Minister’s families and relatives as well. The first scenario is abnormal and the second is normal. Yes you read me right, the first scenario is abnormal and the second is normal simply because Eritrea is abnormal nation. The people have forgotten long ago what normal is and that has been Isaias’ strategy and evil design from day one. The weirdest thing of all is that the people see the second scenario as abnormal only when it happens in the Weyane land. That is how seriously messed up the whole reality is in Eritrea. And again, that has been one of Isaias’ evil designs from day one! Oops sorry !…was in a hurry and I totally forgot! So you never heard of this website before? You are extremely SLOW!!! I like that website a great deal. That is what I find interesting and juicy things. I come to Awate for the comments only. I tell you cousin Hope that website has a huge potential! May be I’m biased since I like the guy ( your cousin) over there. I’m already a big fan! Please pay attention to what is going on around you. Don’t be an embarrassment to your cousin. I immediatly figured it out and u know who the FIRST person baptized that. Cousin as Prof Dr.
You missed out while Hip Hoping all over the net. Next time be selective when you cast your nets. Hope you catch only the good ones. An advice from your cousin. Watching Man U playing Barnley. Good game. Advice taken.Am packing up and out for G O O D! All the best but hope to see you at Gonder or Tana Univ/ Bahirdar Univ…very soon. Not sure why people turned down our name-pick for Tana University. Day dreaming turning into a day time TV show. Not the isayasist WAY-HELL NO! Lukaku has saved Mourinho’s job for time being. There is nothing to brag about beating minnows. I do not know how Mourinho will cope when he faces the giants: Liverpool and Man City. He will be declared insane and be sent to gallows. The names you mentioned above come with baggages, and i am not sure if i like what they contain. I am against royal ethiopia, amhara ethiopia and i am not sure if the concept of an oromo ethiopia exists yet. Like Dr. Abiy i am for an ethiopia that belongs equally to all ethiopians, north – south and east – west. By the way, PMAA when asked had said clearly that an armed group cannot be part of the peace effort, unless it disarms itself. In my opinion, ethiopia and eritrea are similar, but different in many ways. Land mass, population size, large ethnic groups but not large enough to dominate the rest, long term statehood that has been acknowledged through wars and conflicts, etc. characterize ethiopia. On the contrary, in eritrea’s case, she was born through a difficult and protracted labor, her small size puts her in a disadvantageous position, possibly one ethnic group is the majority, etc. On top of these, i think that eritrean independence is never put to rest in the mind of eritreans. Those who say they fought for eritrean independence believe that they should defend it even today whatever the cost maybe. Acquiring independence has turned to defending its continued existence, and with it all the ills from which eritreans suffer and continue to suffer. The new generation of eritreans has a completely different world view, i suppose. Independence means for them to live freely, and this scares the old generation, and they do not trust them as guardians. To be free does not mean a life long military service, it means to travel even to the enemy’s land, to trade freely even with the enemy, to study, to settle and create a family, and not a lifelong sacrifice, etc, etc, which the old generation believes that these concepts undermines eritrean independence for which they fought for three decades. They can’t call it a friend and they can’t call it an enemy, especially today, and that is ethiopia for the new generation. A big country, linguistically, culturally and traditionally similar with highland eritreans, with a relatively better opportunity for young eritreans in many ways. This may act as a factor that with time may be a force of attraction and may even minimize the bond and the feeling towards the homeland, which is only a day’s journey away on land, whenever they feel nostalgic. What is a life that is nothing but sacrifices, is on everybody’s mind. Can we say there is a social gravitational force as in nature? I do not know. Anyway, being small is a negative factor that may bring you under the influence of the bigger force, and a lifelong sacrifice is impossible for anybody. I know that you are one of those eritreans (which shows your love for your country) who say, “we can do miracles”, but that miracle is going to be according to the size of eritrea. Some say that eritrea could be singapore and israel. Simply, they do not take under consideration the factors that created the two. Maybe they have never heard of the Rothschild family, jewish bankers since the late 18th century with wealth some say amounts to 2 trillion dollars and the world banking system, the media and even governments are controlled by jews, and all these make eritrea a million times different from israel. As much as singapore is concerned there is not the geographic positioning, and djibouti is in a better position as a trade hub with the chinese building the free trade zone. What do all these mean for eritrea’s future? Simply, she is stuck with poor old ethiopia. The arabs have proved they are not interested, the russians want a foothold and nothing more, and the wrong move may put eritrea in a precarious position, in the geopolitical chess game that is being played in the region. Finally, if eritrea truly reconciles with ethiopia, reconciliation of its people will follow automatically (my opinion). There are many Abiys walking in the streets of asmara, but the chance to manifest themselves is not there, and maybe they are not ready to risk by taking that step, especially those young people who are near but not affiliated to the present power system in eritrea. When completely sure about ethiopia’s good wish for eritrea, such people may come forward. Nevertheless, in a peaceful situation or in a state of animosity, eritreans find hard to swallow the ethiopian pill. I don’t think I can :”refute” or challenge what you eloquently said…at times,, a blunt one but a bitter truth.. When I mentioned the names of the trio, my intention was that those–seemingly opposite mentalities can easily converge easily via some sort of peaceful agitation. There will be always baggages..no matter what. Excerpts of the book is already out for the public to read it. I must say, Minister Birhane is a brave man for spilling the beans and keeping the closet wide open. I admit, I haven’t finished reading the entire excerpt but I am in a complete awe to say the least and left speechless reading afresh how evil he is. Isaias the sadist and psychopath should have been locked and put away long ago much less to be a leader over otherwise God fearing and extremely kind people. May God bless the Eritrean people! September 1 is gone with the winds….still no announcement about updates regarding the Eri-Ethio peace process…….. In the meantime, IA is cooking another reality by shamelessly immersing the country into regional and international conflicts….it was the Arabs previously, now he Russians…creating an accomplished fact to fill a life to his grip on the country and people…….still the sycophants will tell us all BS about how Woyana is till trying to undermine the great state of Eritrea……the plight continues, the misery continues, generations will be bygones, the exodus continues……until one day there is no viable Eritrea….. Some months ago when there was heated debate about Qatar and UAE SGJ called you troll and I thought he was harsh, however after this I am afriad he might be right. With all due respect, sir,referring you to TN and Meskerem.Net to get what you wanted or asked for -the original sources of the news items,makes Hope a PFDJ Troll? Granted, and in the event,if you misunderstood Hope as if he is referring you to the TN and meskerem.net as my source of the news items,the allegedly PFDJ Troll websites,you are at loss. But still you could have opened the webs then make your judgements and deductions about Hope. Kab behali’Us degami’U,kind of bravado! 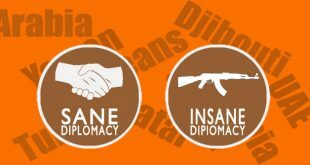 Supporting the PFDJ’s Diplomatic Success stories with the GCC accompanied with a huge PACKAGE,that revived the Eritrean Economy,besides making Eritrea to get out of the “COLD” and destructive sanctions of all kinds on top of making the TPLF to have a deadly panic attacks ,makes HOPE a PFDJ Troll? If so,LET IT BE BUDDY! Speaking of your reference points and personas,no worries as I can handle them single-handedly,any time and under any circumstance,provided I get an opportunity and a space to do so ! Am afraid that,you might need an ESL Class eventhough I expected your English to be better than mine! May be you can try it in my original Mother Tongue and/or Tigrayit and Amharic so as to understand you better. Glad that a certain Sam referred you to Reuters,once more. BTW,you should appreciate the EPLF/PFDJ for teaching you an Original Tigrinya! 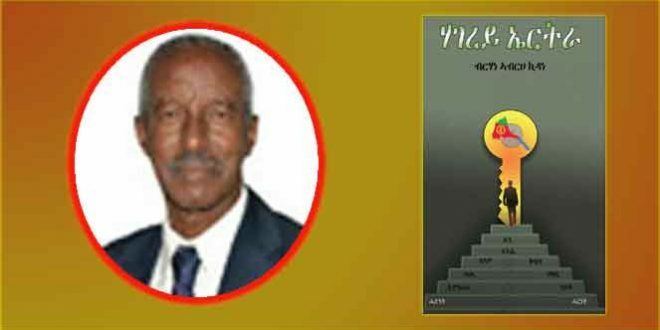 It appears as if this is another desperate hoax, that Berhane Abrehe did not write any books. After 20 years of servility to the Weyane, the stooges have learned from their masters how to lie without any shame. Summon a modicum of courage and come in with real name if you want to taken serious. Otherwise even half a minute too much to spent in engaging you. Desperate makes peace where border and demarcation are thrown back to the burner. Desperate says, there are no two nations but one people. That is a hoax! Desperate bends backwards to serve UAE and the Saudis. Wedi Afie is a funny dude! HGDF and the people of Eritrea defeated your Weyane masters. The next task is to eradicate the dirty Weyane. If you have a little sense, then you can see the outlines of the big game. Next February, you will see the burial of your favourite criminals. Well now I know where you were last year. You were editing the book of Berhane Abrehe. I am going to put a link below to the excerpt from the book and come on HaileTG, you are among friends, you can tell us. Ah, September 1 was not the leading news in EriTV today. It was the Eritreans in Russia trip. A trip from which nothing will result if the past two visits in the past 5 years Eritreans made to Runnis (including their whorish endorsement of its annexaction of Crimea) are an indicator. Actually September 1 this year was just absorbed into the Festivals. They showed them a play which included a song and dance with people clutching our old green olives on blue sea flag. In the audience were Diaspora PFDJ which associates that flag with the opposition and they jumped up and yelled “Weyane! Weyane!” Kidding kidding. I think the situation of Berhane is very sad. Imagine the cruelty and depravity of IA! A men, who are his brothers for all purposes, disagree with him in the course of duty and he would react in manners one would even find it difficult to wish to mortal enemies. The beast called IA would go to destroy their lives, their children’s lives, their whole life worth of toil, even offer disrespect to their corps after he ends their lives. All this for no other reason except disagreement, the most basic of human nature at that! IA, an accused abuser in Crimes Against Humanity charges, hates himself deeply. And what he projects onto others is nothing but the mirror reflection of such internal suffering. Although, his fear and conviction is that we’ll do worse when time comes for us to lay hand on him, we should just chain him and put him on the next EAL flight to the Hague for ICC trial. That way we can bury the cycle of violence born by the evil human tornado. Check out the last para of this Shabait editorial on the ocassion of September 1? It’s a short one, I promise. It’s telling people who hope (every damn holiday) that Isaias Afwerki will do something humane or rational, nah, it’s not going to happen but thanks for playing. The editorial doesn’t even mention why September 1 is historic and whom we defeated. Why? Because it’s the only Eritrean holiday that Isaias can’t take any credit for. It’s one holiday that makes PFDJ and IA write the most awkward things on that day. Also what’s funny to me is that the editorial was clearly written by him (we know by now his style) but he refers to himself as ክቡር ፕረዚደንት:: If mesakin hgdef are looking for the new EriTV to choose from the huge selection of Ethiopian TV I recommend Amhara TV (Amma). They have gotten a head start on how to report news the “peaceful” (regime propaganda) way. They have already done the “humble leaders” routine. Next is the “plastic sandals” and “incorruptible.” Let’s just say they are not the ones who will ask to visit Eira Eiro or do am expose. So brush up on your Amharic hgdefites snd tune in to Amhara TV. Welcome to awate forum since I can’t tell if you have been here long. Why why I mention TPLF , well you know the answer. Tigray “ strong state “ are you not you giving too much ears to Abay Sibhat and Tsehaye ? Reread Horizon comment because he has explained things for people like you. Tass.com/ 10 says 404, meaning page doesn’t existsand reuters doesn’t seem to have the story. I have checked and searched using the same terms as you have used and nothing is found. Happy ባሕቲ መስከረም and Happy Awate Day! Viva Geneva ኣገናዕ ኣገናዕ ጸባ ሰቲና! Ha ha it is still on you. Remember, you’re the real deal! Grazie mille caro Dottore. Che bella canzone! We drunk the pain of tortures. It’s too painful to talk about the disappeared – too many to count – so much so that one doesn’t even know where to begin. I remember reading about Idris Mohammed Ali’s passing – among many – on FB. I just looked it up and found it. It’s a harrowing story to read. But, their stories must be told over and over again until we find our way to the truth and reconciliation phase of Eritrea’s tragic journey toward nationhood, in every sense of the word, is made realizable. You’ve captured its poignancy on the portion that you translated. I wish you or someone else picks up where you left off and translated the entire lyric of the song. Between this song and the current one that I shared earlier, an article can be written highlighting where it all began by this song and where we are today by the current song that Hussein Mohammed Ali’s song captures. I wish I could commit to such a project, but time is not on my side these days. I am barely catching up with current events. At any rate, in case the link below doesn’t open, the individual goes by FB name “Eritreas-Disappeared”. A friend alerted me of a site I purposely stay oblivious about, namely the regime’s mouthpiece Tesfanews. Apparently, there is a piece about September 1st that uses quotes from some well known personalties who have long left us. I think it’s worth sharing with awate readers. Now, what’s needed is a voice like the following to immortalize their words into the optics platform such as YouTube. Will do the interview next week for this weekend viva demonstration in Geneva. to tell us and me later. They told I should not rush and be in hurry. I want to tell them that I am all ears now. Or we still should wait more again ?! What was it you were saying you will tell us ? or refute them and their credence or credibility. The road to Tigray is opening with Eritrean buses going inside to Ethiopia, will this open another thing, we shall see. But as of today there are two buses who crossed the border . One thing is clear, Ethiopian soldiers are returning Eritreans who wanted to cross the border to Ethiopian refugee camp . Why, I don’t know what I know is there are around 700 people who get caught after the peace agreement. There is no decision what they will do with these people but it is rumored that they will ask money or prison time . There is no reason eritreans should cross the border illegally after the peace accord has been signed. They can come to ethiopia the legal way. The problem for ethiopia is, will they return back or stay in the country. Now that the wall is not going to be built, habeshas are looking for each other, ethiopia and eritrea have been declared by caesar as “one people – two countries”, with the possibility to develop to a “one people – one country” 😂 (God forbid), and religions are to thrive, the confusion is going to get worse. The biggest example of the failure of arab countries is the issue of palestine. They earn hundreds of billions every year from oil, and yet their money does not cover the needs of palestinian refugees and palestinians are made victims of rogue elements like trump. Arab sheiks and princes-princesses invest billions to buy toys and gadgets: billions for sophisticated modern arms that will be incapacitated if used against israel, yachts and chateaus for their enjoyment worth hundreds of millions, expensive cars for the spoiled princess to race over the sands in the desert as their forefathers used to do so with their camels, and yet they do not afford enough money for the suffering palestinian refugees. Therefore, one should not blame the enemy, but the purportedly friends that have betrayed them. I agree on the Habesha thing and I hate it . The reason for that is sir , you guys are not meant to be at peace with each other and that means war will broke at certain time I don’t know when but I am certain war between you two is certain. About the crossing, well what can I say , The dictator hand in Eritrea is simply becoming too nice for Abiy to reject his request. Sad , we are being called racist for saying the truth about the brotherhood thing in between. The Arabs , you are 100% right the Arabs have no morality for the obvious reasons and that’s their dogma from their Mosques is simply not nice to humanity. It is about killing and looting nothing human in there . Here is the truth , in Dubai Palestinians beggars are like untouchable for almost all Arabs and in general for Muslims with business owners who hate Palestinians even to look at their own conclusions. Palestinians are used for other politics while others help them. I believe if the right wing in Israel got out of steam the liberals can be more nicer to Palestinians than almost all Arabs . They are very bad. In another case, Russia is investing money in Eritrean ports and do not forget it is Russian company who is investing in the potash mining in Eritrea too , how will this play out I don’t know . Will TPLF stay afloat for Abyi to at least set the ground work for Ethiopia to go full democratic, peace and many good things , YES . I believe in Abiy to completely set Ethiopian country of the people than few TPLF old without teeth. The horror in jail ogaden under regional president abdi illey and his liyu police, organized and armed by tplf, is beyond words. It is said that other than the killings, rapes and different types of tortures, people were imprisoned with hyenas and lions to terrorize them. This is a very good example of how ethnic regions are going to end up if they secede from a multiethnic country like ethiopia. It is said that there is a reformed wing of tplf who stand with pm and the change, which ι hope would isolate the old corrupt clique who looted and terrorized the land. As you said, I hope they will not be beyond the reach of the law of the land. Since 2010 illegal capital flight from ethiopia is said to be about 10bn$. Of course, the culprits are the ruling class. PM Abiy is trying to get the cooperation of the countries to which ethiopian money has been smuggled, but it is not an easy matter to succeed. I too believe that PMAA will democratize ethiopia. Maybe it is not going to be a perfect democracy, nevertheless, much better than the one we have seen up to now, with free press, freedom of opinion, free and fair elections, more transparency, the rule of law, etc. The west, usa and eu, seem to support him (he has been invited by Chancellor Merkel to visit Germany), and he has no choice but to prove to ethiopians and the world at large that he is worth their trust. The US is tired of those who are happy to receive it’s hard earned money but curs, condemn and insult it at every UN and similar corrupt forums. Why are there refugee camps 70 years and counting? Why aren’t they absorbed by the host countries similar to the way it happened immediately after WW2? It seems like a well crafted scam designed to enrich some individuals. Very true , it is like most hardline Muslims who migrated to Europe and America and demand sharia law as well as setting no go area for modern women and also killings Muslim scholars as well as activists. Look at the migrants from ME , they are very hard to integrate and this is not their fault but when their kids grow they send their kids to Quran school in Pakistan and other places and when these kids comeback they become IS sympathetic due to the propaganda told by their sheiks. The Palestinians are poor people they have no where to go , their land taken , their kids with no school and no future thanks to corruption inside and outside . I think the Palestinians have traveled too long and they must demand their right by facing at Israel guns not at western money or Ottoman leader of Turkey. They have to believe on themselves not on Arabs not on liberal westerners but themselves. Beware of the elites who set up Liberation Fronts and Parties promising to bring freedom to you. They are only in it for the power and glory. They will use you as a canon fodder and as stepping stone to later become your oppressors and tormentors. As to the Palestinian Arabs, they should abandon their religious approach, which is pie in the sky, to their problems and integrate with the high-tech Israeli society right away. They will have a better Life in this world, as it is the only one and there is no other. Talk about what happened to the ELF in 1981-82,after it was destroyed by the same Western Intelligence Services along with the Mossad. They rushed to airlift those ELF X-Rebels to the West and Middle East as the ELF wascagainst their interest! Talk about what happened to S Africa,Angola,Congo,Libya,Iraq and go all the way to Latin America with the latest sham on Venezuela! Iran and Pakistan are the only struggling nations out of the seven nations to be wiped out or to be weakened,which survived the CIA and MOSSAD Agenda,in the very true words of the USA Chief of Staff,Gen Frank or Mathis 3 yrs ago. It is an old new Agenda and New Old World order. Eritrea is an ever non-ending target by the same Evil Agenda! Glad we have survived thus fzr! Why do you think Eritreans chose to gross to Ethiopis and become refugees after the peace treaty? You guys have been telling us that the problem was the boarder issue. It is becoming clear now that the real problem for Eritreans is IA. As you may know there are thousands of Eritreans in the west and most of these arrested are people who has families in the west and wanted to join them for family reunions. The process in most cases can’t be completed from Eritrea. For example if your immediate family lives in Scandinavian countries you have to go to Sudan ( impossible as the Rashayda as killing them ) and the only choice is in Ethiopia as the western embassies are all in Ethiopia. That doesn’t answer the main question. Why they want to joint their family in the West if the main problem, ie border issued is sorted? Really? that’s why . Even if the border issues are solved and even if you put a new leader by dissolving PFDJ , don’t dream this dream of going to west will stop . The fact that you think migration will stop after PFDJ is a lie , be realistic and avoid the propaganda machine because here people can actually understand you if you become reasonable. It is good to know this is a forum, thank you for letting me know. But then, one should not speak on behalf of others unless dully delegated. I never questioned the rest of the fillers you used, they are out of place. Why is that difficult to understand. I just said talk about yourself, anyone who feels they need atonement, let them do it themselves. Hey AT: your title is very funny. Of course, I have not read the book but I guaranteed you, it will tell you how PIA is crook, power lover, killer and succumb bag of the earth. I have always predicted someone will come out with earth shattering evidence of some kind felonious and scandalous act by PIA, because when you are in power for that long and you lead one of the most amazing fight for independence, something got to happen. But listening to Mesfin Hagos, Abdela Adem and the rest of the bunch, there is no there, there! If I am that old and out of my country, I am telling everything if there is something to tell. So, may be the guy is clean? Anyway; I am sure there will be some yada, yada, yada gossips and insults but nothing major. If there was, somebody has to say it by new. It could undermine PIA’s authority though. When a man is sitting in the country and publishing a book about the leader of the country he is in, some people may be motivated and encouraged to stand up and say what is in their mind. I think we must wait and see the book . We shouldn’t jump before the horse . The good thing about this is the man can be contacted as of today . Hey Blink; PIA won’t arrest him just to desecrate the author. Besides, what can this author know Mesfin Hagos, Abdela Adem, Ali Abdu and all the enemies of PIA has, didn’t know? that all i am saying. We can get a chance to listen to his voice in open TV talk because time is limitless to surprise everyone. ; we may need to redefine FUNNY! Bringing us yet another breaking news that will certainly be one big moment of so many pivots in the struggle of the undoing the tyrannical system that is now being bruised, cracked, and will soon shatter to pieces. When the end is near for tyrants, we begin to see courageous individuals or groups begin to defy such a wretched system out in the open. In the long list of braveries, too many to count here, former Minister of Finance, Berhane Abrehe’s bravery might just be the last blow that will unravel the regime’s hold on power in Eritrea. Mr. Abrehe is showing moral courage and fortitude, one that Martin Luther King Jr. had aptly characterized thus: “…the arc of the moral universe is long, but it bends toward justice”, borrowing from one of the sermons of Theodore Parker of 1853. “At the end of life we will not be judged by how many diplomas we have received, how much money we have made, how many great things we have done. We will be judged by “I was hungry, and you gave me something to eat, I was naked and you clothed me. I was homeless, and you took me in.” Ato Berhane Abrehe will be remembered by Eritreans inside Eritrea as someone who made a conscious decision to give the path to justice, the path to freedom that they never saw after the common and brave tegadelti brought them the dignity through sovereignty in 1991. Indeed, the dimming light in Eritrea just got a new energy that will make it brighter. The meaning of the name Berhane Abrehe say it all. I can already see Haile S. or Kokhob Selam using the name of the brave man to give us their Tigrinya version of giTmis. Well said ma bro, well said! ኣንታ በያን፡ ምልፍላፍ’ሲ ኣይንሓምቕን። ሎምስ ብርሃን ዘብርህ ይግበሮ። ኣንታ! ክንደይ’ከ ይጥዕም እቲ ሽሙ! Thank you Dottore and thank you Haw Haile S. for this perfect pitched giTmi, an impromptu one at that. I will now share it on the FB page so people begin to pay attention to this slowly resonating story coming out of the homeland. He meant he follows realpolitik: politic action that is unmoored by ideology or ethics. ጎራሕ: (shrewd) ፈጣሪ ውርግርግ (mystifier) ምስሉይ (hypocrite) ሞሏቕ (cunning) ተሰልባጢ (flip-flopper) are some of the adjectives he uses on him. 2. Are you saying some would be practitioners are ethically challenged? 3. Many would say the strength of Realpolitik is objective analysis devoid of emotionalism or overreliance on pet ideological systems. 4. You are aware there is a who’s who list of eminent politicians and political theorists who are/were practitioners of Realpolitik? 5. 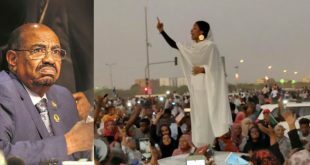 Coming to Eritrea’s political history and future prospects – is Realpolitik the worst approach for the opposition to achieve power? Before Haile S. and Abrehet give the right translation, my guess is “Fundamental Beliefs”? My question to you is: Is the book already out? The cover is all over social media but I don’t think the book is out. Should be coming out next week per Kbrom Dafla’s speech. I wonder if Kbrom is the distributer. We don’t even know where or how to purchase it. SAAY, do we? Can’t wait to buy and read it and hope they print enough and make the price of the book higher than its intended price so that at least his kids can benefit from it. Paulus thesaurus has already translated it! Ha ha I guess he meant with in Kissinger’s fundamental worldview. By the way, ማንታኻ ጠፊኣ ናይ ዳሐን’ድያ? Hope she is well. ብቐዳማይ ዘይከውን ኮይኑኒ፡ ድሕሪ ብዙሕ ዓመታት፡ መርዓ ኣብ ቤተ-ክርስትያን (ተዋህዶ) ከይደልካ። ብጠጠው እዘን ኣእጋረይ ክቘረጻ ንእሽቶ ተሪፋወን። ኣብ ጸሎት ጠጠው፣ ኣብ ቅዳሰ ጠጠው፣ ኣብ መዝሙር ጠጠው፣ ኣብ ማሕላ ጠጠው፣ ኣብ ምረቓ ጠጠው። ዳርጋ 3 ሰዓት ብጠጠው ሓሊፈን። መኣስ ኢና ተቐባልነቱ ዘጠራጥር ባህልና ነመሓይሽ? ምጸኣት ገና ከሎ፡ ህዝቢ ንፍርዲ ዝቀረበት ትመስል፡ ብጠጠው ኣእጋራ ተውዲኣ! Let us wait and see – until the book comes out and we read it even though Ato Kibrom Dafla hinted us with some tips about the content,if at all true. But the most important thing is,since we have seen and heard a lot enough and even the WORST before ,from the likes of Redie Mehari,the X-EPRP (EPLF Secret Party) Agents,and top x-Eri Gov Officials-the likes of Adhanom Ghebremariam,Dr Andeberhan Woldeghiorghis,etc..,as to how much this book is going to make a difference for a CHANGE we have longed for so long! Don’t we know and have seen and heard more than ENOUGH? I don’t think we need more info about the Regime and its actions ,weaknesses and crimes. Based on the ample EVIDENCE we have had thus far,and based on learning from our past weaknesses and mistakes,is a new Strategy as to how to create a Unified,United,Independent,Neutral and Stronger Opposition and a centralized Strong Leadership equipped with a well organized and united as well as a well coordinated and centralized Mass Media. Would you please talk about your mistakes and what you learned instead of adding all your WE? Is it medemer or that has become stale for you ? When you meet some Eritreans, they are so exited to tell you there is a major breaking news: an ex- high-ranking official is about to speak out against the regime in Asmara. He is going to reveal the secrets of IA, please go to this site, pal talk follow, or YouTube. By the time I have finished listening to the talk, I always found there was no earth-shattering or sensational revelation. What they disclose have already been in public domain. What a disappointment! It is extemely unlikely any Tegedalie, or ex- high-ranking official will reveal the dirt secrets of Sahel and Halewa Sowra; they would rather die with its secrets so as to ‘Preserve’ the good name of ‘Gehdli’. Does bad story of the Ghedli era make you happy or you believe that it is helpful to cut PFDJ time short ? I mean how can you be expecting hot news to be told by this man from the old times be useful except for smerrroom patalk gathering. I know some people really are hungry even stories falsely made up about EPLF make them sleep well but how do they expect their children to benefit? What I object are displaying selective memories. They either shut up or out up. If they put up, they need to own it, including all the bad part of the Gehdli. Everything is done selectively nothing in here is all put up . It is a human nature and more importantly in politics it is all about telling a story by selecting the things you want to hit. Can’t you see the difference from the article by Amanuel Hidrat , how people are reacting to this book and take that to the comments made in both . I always see in this forum a selection of narrow differences between A and a just off the computer language. You know in coding A is not a .
I actually disagree. The whole point is to keep the momentum going. The stuff you heard say, 10 years ago is not the same when you hear about it today and if you don don’t hear about it today at all. It has its own powerful psychology. Today, Minister Birhane is telling us what ጆርጆ told us circa 40 years ago and you can see the powerful impact it has on not only the accepted beliefs of people but it changes the narrative of the day as well. More over, say, tomorrow Yemane Gebreab or Sibhat Ephrem steps out and affirm and confirm the narrative that was only confined to a rumor but again, it has a huge impact particularly when the timing could not be perfect as in ክልተ ህዝቢ ኢና ዝብል ታሪኽ ዘይፈልጥ እዩ! Just to ask one question, is the man from highlanders again ? Is his book telling a story of the alleged alienated 50% of Eritreans “ lowlanders “ horrific story done by PFDJ on behalf of the highlanders? Just asking . Your concern as state in the paragraph is valid. Moreover, you are correct about possibility that there might not be much than what we already know about the follies and crimes of the despot and his henchmen. I think Kbrom Dafla has also indicated to this point. But the value and significance of the book lies in the timing and the risks Ethiopia’s policy overture and concomitant politics have exposed. The despot may be in a new venture that could impact sovereign interests of the nation. I agree let’s wait and see. Based on your comments there are some points you did fail to appreciate. First timing, which Ismail AA mentioned below anther one is the fact that he wrote it while still living in Eritrea. All the other you have mentioned wrote their piece from outside. This is different as they call it from “the belly of the beast”and it will provide a signal that IA is walking dead. I completely agree with you about dictators being cowards. One has be a dictator to feed his insecurities. Dictators are smart enough to avoid anything that can endanger their position. It is like the neighborhood childhood bully who loses his status with one daring punch or ‘testa’ from one of daring kids in the hood. The bully avoids any confrontation with the kid who could potentially bring him down. So IA may employ the same strategy and spare the writer, but it is far from certain. But I don’t have much expectation from ex-fighters to either make any move against IA or even write anything of significance against him. I think the ghedli generation is a doomed one from that angle. They are all from the same ”well” and thus think and breath same at a more fundamental level, thus less expectation for any tangible exposé from the writer. Remember the pilot Dejen who was imprisoned by no one but IA himself for several years and yet he had hard time to even dare put IA’s name under a negative spot? That was so nerve racking to hear and it underscores the underlying psychological framework of ex-fighters. YG’s master piece and his famous connotation ”Dejene’s syndrome’ is still a fitting expression. Take the case of the commentator here at Awate by the nickname MS who is an ex-fighter from what I gather. Not long ago, MS here showed his true color when he tried to tell us IA was the only way out for the country following the latest development of the border issue. MS was a critic of the government until that time, but when he sensed things were shaping to IA’s favor, his old fidelity to IA kicked in and he shamelessly displayed his true natural self and publically showered us with his sermon of how the country is doomed without IA. In his subconscious level: Eritrea = EPLF=IA, like any other fighter. Bottom-line, with all due to love for our fighters, lower expectation about ex-fighters going all bananas against IA. They cant. They all from the same source and they think alike. In all honesty, I wish I was able to arrive at a general conclusion about an entity called ‘ex-fighters”. Don’t get me wrong, fate have had me cross paths with many and many tegadelti for all sorts of personal life reasons. Some are (very few) at the helm and equally responsible in the crimes that the regime is implicated with. These are not more than a dozen or so. Let history speak for them. The many other tegadelti that I know, we’ve come to meet for all sorts of reasons and sometimes sheer luck. Some are ordinary people who have been traumatized by one of Africa’s brutal civil war. They have sustained huge mental, physical and emotional wounds that will never be reversed in their walking lives. Some are extremely smart and hard working and have quickly re-organized their lives. They have raised amazing children here in the diaspora while facing all the challenges all of us face and in their case on top of their past ordeals. Others are people I met through family and social connections. Yet, others are people I worked with on different short term (sometimes ongoing projects). On other side, I met few I assisted with immigration and some I know are in refugee camps, no family and care giver, yet they sustained war wounds that every day is another day of excruciating pain and misery. Some are in Eritrea and still living in camp like sheds in some quarters of the capital, hidden away from public view. This is pretty much a crossection of the body of tegadelti I came to know. With some we had good times and with others not so good as one would expect in any walk of life. It is true that they share common views in many ways but that is natural given that they belonged to a common organization. But, if you look very closely, how many tegadelti do you see as vocal regime supporters in the diaspora? Actually, the majority are in the opposition. You would be surprised to find that vocal regime supporting tegadelti is a handful or less. Are they guilty by association? I.e. because IA’s regime is made up of tegadelti, should we dismiss them all? On a side note, I will be less than honest to agree to the notion that MS is pro regime. In my mind and based on his activity he is an opposition who has his own unique position about the current situation. Selamat Awatista and thanks Aboy Tesfay for the link. Generally speaking, this book would be framed along the author’s world view. That is to be expected and a fair deal. So, long as the ex-minister is someone who is opposing the IA regime and believes in the integrity of the nation, his rights must be defended by all with no questions asked at this time. If he personally has to be held accountable, that should be done at the right time and in a proper way. Having said that, many fear for his safety. That is unlikely to materialize. When the regime disappears people, the real target is the population. The surprise factor, the secrecy, the information black out and the rest send a signal to the public that something sudden, unexpected and possibly the most dreadful thing they can imagine could happen to them if they voice a slightest of challenge. This disturbing signal renders the ordinary citizen like that of the wash man’s donkey I told week or two ago. When arrest is expected and warranted by the regime”s standards, when the public eye is gazing right at it, then the regime doesn’t move. Take the case of the Catholic priest few years back. Because IA, as any dictator would be, is a coward. One has to be fearfull to become a dictator. And being fearful means a coward. The monster imagination the public has is carefully inculcated through such orchastrated signalling. If ordinary people were to directly confront IA like the minister, he will be done in less than 24hrs. Some people, in fact very few people, at some point in their lives, their conviction takes a firm hold over and above the dread of death. And that is precisely the reason we call them heroes. Minister Birhane is long gone, what is left is the hero in him where the rest of us are too timid and selfish to walk on the road less traveled! He is doing something the likes of Mesfin Hagos never dared to do where they are too paranoid where they feel the shadows of Isaias is following them everywhere to the extent of saying anything damaging stuff about Isaias only reluctantly when they are pressed hard by a reporter. This is precisely the difference between heroes and cowards! You are a person of statistics and what you see is patterns or lack thereof to make a conclusion of certain set of data. And if anything, immaculate deception has always been a copyrighted signature of Isaias. There is no doubt that as Minister Berhe indicated, Isaias’ dream has always been to preside over greater Ethiopia. We only have to see the emerging pattern and his influence in Ethiopia and how he is deceiving Abiy and the other bunch of fools into believing that he is all for peace and other BS! Little do they know that, he is set to scr*w them over and over till they join a long line of scr*w ups with in the last 50 years or so. Certainly, Isaias is doing his dirty work at the expense of the Eritrean people and the prophet in the wilderness–Minister Birhane is calling for unity in a time of uncertainty! I don’t think Mesfin Hagos does what he does because of fear. I think he genuinely believes that, any information which is not relevant, he thinks needs to be kept for the sake of the country, legacy of the front and it doesn’t empower the country enemies. So we have reached code orange now. So much for the peace deal, soon we will hear code red. That is precisely the point. Why can’t Isaias think in those noble terms as in “for the sake of the country.” Mesfin is where he is and Isaias is the President ruling with absolute impunity! At long last, a brave soul is saying, እታ ኣንጭዋ ክትታሓዝ ኣለዋ ዋላ እታ ሞጎጎ ትሰበር! Time stays for no one. Mesfin is a dreamer cooped up in his comfort zone and that ain’t cut it! The books title is strange for an expose. If it is a tell-it–all book as one expects, ‘Hagerey Eritrea” is indeed a weird name. Hopefully, he wont bluff about how ghedli saved the nation and how it had dreamt of creating a prosperous country but hijacked by IA….bla..bla…something that we have dissected and digested here at Awate extensively. Without intending to mud the waters, I have less expectation of anything ground breaking coming out of this book in terms of telling about the inner works of IA. My worse fear is the write will indulge into the familiar territory: Praise Ghedli and its golden generation, without dwelling much about the real inner workings of IA and his deeds. Thanks Awate for the news. Why publicise in a controversial way when you didn’t even read it? Don’t you think you are endangering him and also making life easy for PFDJ to stop the book (of course if he may in trouble and sadly with out the book). How is that even possible for PFDJ to stop the book from publication if in fact the book is being published not in Eritrea? More over, when he already has a serious falling out with Isaias, he is already in trouble. Consider this: He will be passing on fighting to the end and standing on what he believes in unlike the others who crossed over in a compete silence. At some point in their lives, few people think less of dearh than convictions. Actually, there is a name for those kind of people—heroes! I think Filmon had a point and his concern is valid. If it was up to me, we would rather to see the book published before making such news public. Specially since the author and the book is still under the grips of the regime. I hope to see the book published. For example, Oromay was published before the Derg reliazed its value. Had Baalu Ghirma died and his book died with him, how is that benefit the people and his cause? Don’t you think that we benefited because the book was published before the Derg security were alerted ? GN states that the source of the news are close friends of Berhane. Additionally the book is to be published outside of Eritrea. This implies Berhane is brave enough to decide that his book publishes outside of Eritrea while he is in Eritrea and doest mind being announced in Awate. In a very unusual way he is challenging the tyrant head on. The monster tyrant DIA will obviously act in his natural way to eliminate Berhane – but not his book. Speaking truth to power is the ultimate liberation and if all this is true Berhane is our new found hero. Thanks for elaborating. That make sense and indeed it takes a lot of courage to do so. The timing is very important. Mr. Berhane is sending a message to IA that ” if you are willing to make friends with our enemies, you better tolerate the truth coming out of your friends.” It is time for everybody to tell the truth and speak up openly. Time for Eritrean Perestroika and Glasnost! I don’t know if you misspoke but I believe you know the truth about Issaias. Once you challenge him or he lose the interest on you , by his own conclusions you are no more his friend but enemy that has to be eliminated. Issias has no friends . If Baalu Ghirma was not the head of Publishers, the book would not have seen a single day light. The book had not gone through censorship, and no body knew until it was too late. He knew death was awaiting him, but was ready to die for his principles. The finest Ethiopia has produced so far. What a waste of talent! I have never forgotten his book: Haddis, lijnet Temolos Aymetam and many others. Let’s just say that, you and many others here, who hail from the Northern part of the Horn, do not know Ethiopians very well, really. I read many things in this site and every time most of you guys make comments like this my heart shrinks…. Many moons ago MS revealed the conversation and his time he had with a POW. I challenged him to first get permission from EPLF as he was an actor within that organization. Like it or not, EPLF is the owner of this acts, with huge financial implications to the publishers. Take it easy. News is : when a dog bites a man it is not news but when a man bites a dog it is news. I just want to share with you the ABC of the news but for more info you can read a lot of books of what News is ? First of, the news said “its not clear if they are printed outside Eritrea”. That made me worried to thinking this may block the publication while at the same time endangering the brave act (at least let him publish it first and read through it is what I was saying). I believe my concerns are valid, now I heard from Dafla’s video saying its getting published outside Eritrea (which makes sense) and in that case we don’t have to worry about the book getting blocked but we hope Mr. Berhane will be safe or some one could jump in for his rescue (and not perish like the other heroes). Finally, Mr. Brhan you are speaking different language here, I don’t need to be lectured about news as I am only a listener and criticizing from the perspective of having at least the book be safe. You can only correct me if I might have had wrong assumptions to make me give my opinion for they are just opinions. And take it easy and I don’t think you know enough about me to jump into such futile conclusions (I don’t know you either to assume anything). This should have been pure exchange of ideas. The reason Eritrea is behind is because of lack of freedom of speech, freedom of the press,….etcetera. Bravery doesn’t work under the shadows….it requires you to be on the open without fear of consequences….it is the shackles of fear that is holding us back…..our brave ‘Tegadelti’ should stood up for the sake of Eritreans as they did during the many years of tougher struggles against our enemies. Certainly, we should never be fearful of our own people! Let’s praise them if they did wonders and scold them when they change discourse. Let’s not be fearful…..it won’t bring any change. I wasn’t encouraging fear, I was worried his brave act may be compromised if it’s not distributed first. I understand your concern; nevertheless, it is high time that people speak up openly without fear of repercussion. I believe that change can come mainly from within Eritrea. This is a very strange time. When IA is making amends with Ethiopia and proctoring a peace deal with Ethiopia and its opposition parties, many of us are wondering why he not making peace with his own people? Why not release political and conscientious prisoners? Why not invite opposition parties? Why not reform the system? The opposition has been speaking up for the last 27 years but to no avail. Who better to speak up than the former ‘Tegadelti” and the core supporters of IA? He is a very brave man. Wish him all the best!